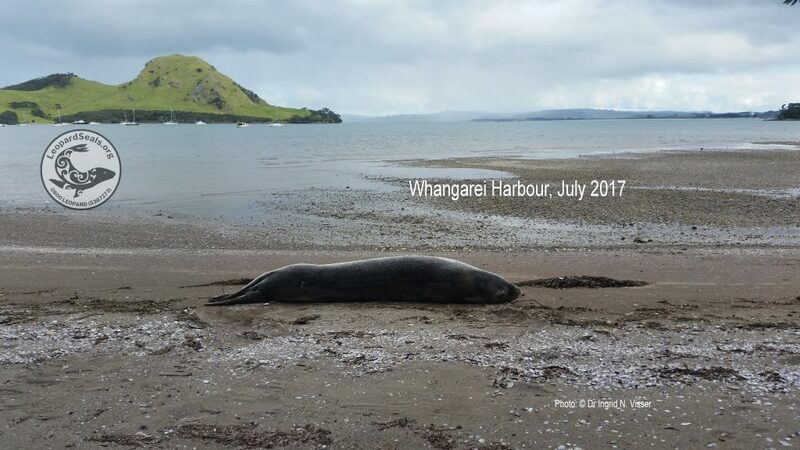 Although officially designated as ‘vagrant’ visitors to New Zealand’s waters, by the Department of Conservation, LeopardSeals.org has collected enough information to indicate that at least some leopard seals reside around our coastline for months (or even years) at a time. We are currently preparing reports about these individuals and once completed they will be posted here. We rely on photographic (and video) evidence to prove that the same seal has been resighted. As each seal looks different we can match the individual as it moves around the coastline and document how long it has been in our waters. We therefore are asking members of the public to please submit any reports, including photos and video to LeopardSeals.org so that we can continue to monitor these animals. We do ask that you please read the ‘Approaching Leopard Seals‘ and ‘Photographing Leopard Seals‘ pages to ensure that you do not disturb any seal. Thank you in assisting us in our Mission Statement to better understand and protect leopard seals around New Zealand.